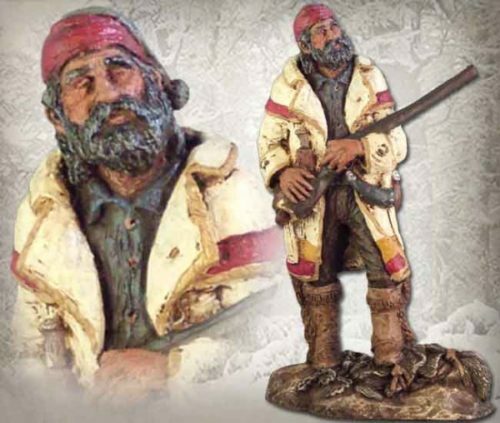 This early American hero braves blizzards and grizzlies to get home in time for Christmas. 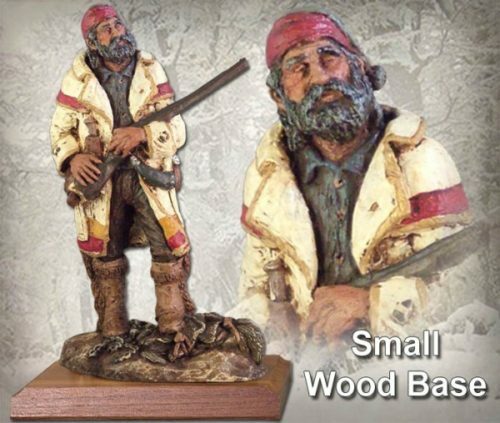 Celebrate the Holiday season with this festive handmade sculpture by Michael Garman. 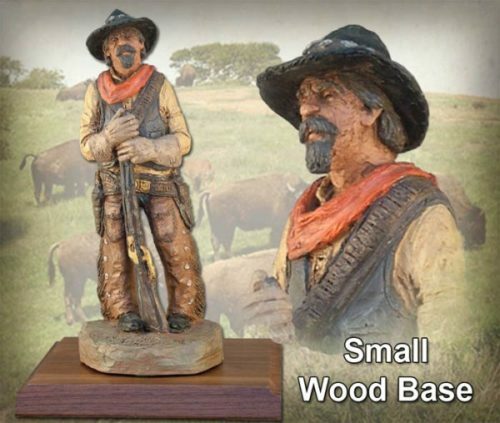 Sculpture measures 9.75″ tall. ©1990/2014. Handpainted finish. #MG977.